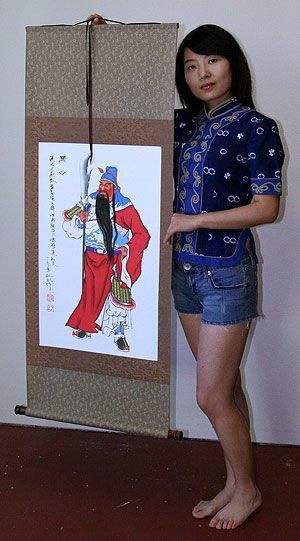 Artwork Panel: 53.1cm x 98.8cm ≈ 21" x 38¾"
Silk/Brocade: 61.7cm x 151.6cm ≈ 24¼" x 59¾"
This is the "Star God of Rank and Affluence", or "Good Fortune Saint" of China. 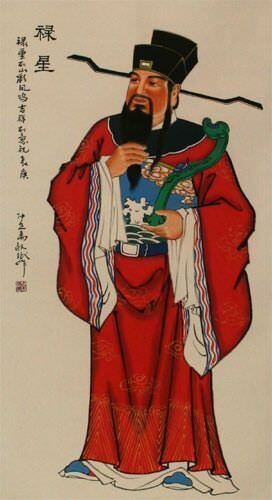 This saint is often associated with Taoism / Daoism. 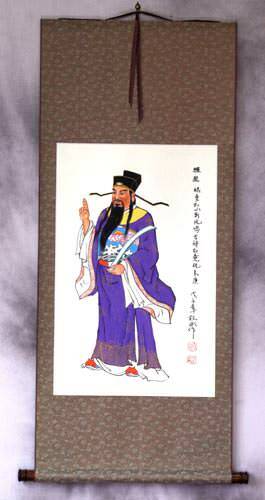 Images of this saint can be seen around the doors of homes throughout China (especially during Chinese New Years). More info: Lu Xing Wikipedia page.